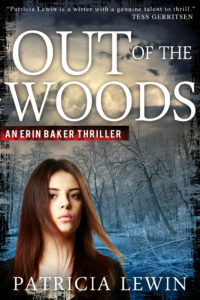 Nineteen years ago, Erin Baker’s sister, Claire, was kidnapped from a park in Miami. Although Claire was found four years later, the tragedy had long-lasting effects on both Claire and Erin, who stills blames herself. Now a CIA officer with three martial arts black belts, Erin has dedicated her life to defending those unable to protect themselves. 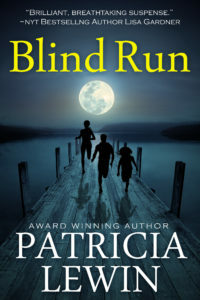 Then a child disappears near her home, bringing up long buried memories, and Erin becomes convinced there’s a link to her sister’s kidnapping case. When several children go missing near Washington D.C., FBI agent Alex Donovan, who specializes in locating missing children, is charged with heading the investigation. Then Erin Baker shows up, claiming to have seen a potential suspect that fits the description of The Magician, an alleged child abductor so elusive many believe he’s just a myth. Before long, Erin and Alex find themselves embroiled in a horrifying world where children are stolen and trafficked. Now it’s a race against time to find the missing children before it’s too late. But the closer they get to the truth, they and everyone they love become targets for a killer. 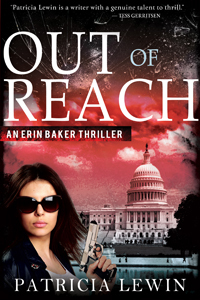 With deeply-drawn characters, a relentless pace, and a powerful plot that echoes the most shocking headlines, Out of Reach is a suspenseful thriller that will keep readers turning the pages right up to the suspenseful and nerve-wracking end. 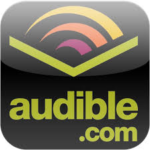 Also in the Erin Baker Thriller series. 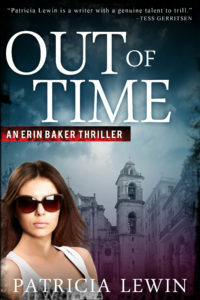 Ethan Decker was a specialized hunter for a CIA Shadow Organization, working deep undercover to track down and capture ruthless international mercenaries and fugitives. Then a daring mission takes a lethal turn, leaving innocents dead in its wake, and Ethan’s wife a prime target of a ruthless assassin. To save her, and because he can no longer justify his actions, Ethan exiles himself to a remote desert in New Mexico, a prisoner of his own guilt and grief. Then one searing day, a former member of Decker’s covert team arrives at his door, shepherding two children. She entrusts them to his protection and leaves without explanation. Suddenly, the race is on: to reach his ex-wife before the deadly assassin finds her, and to unlock the mystery behind the two children—who have become pawns in a dark conspiracy so evil that even this former spy cannot imagine the peril that lies directly in his path.